During anaesthesia, we use a multiparameter monitor, much like the machines used in human hospitals. This monitor records the patients respiration, heart rate, oxygen saturation in the blood and temperature as well as many other important vital signs. 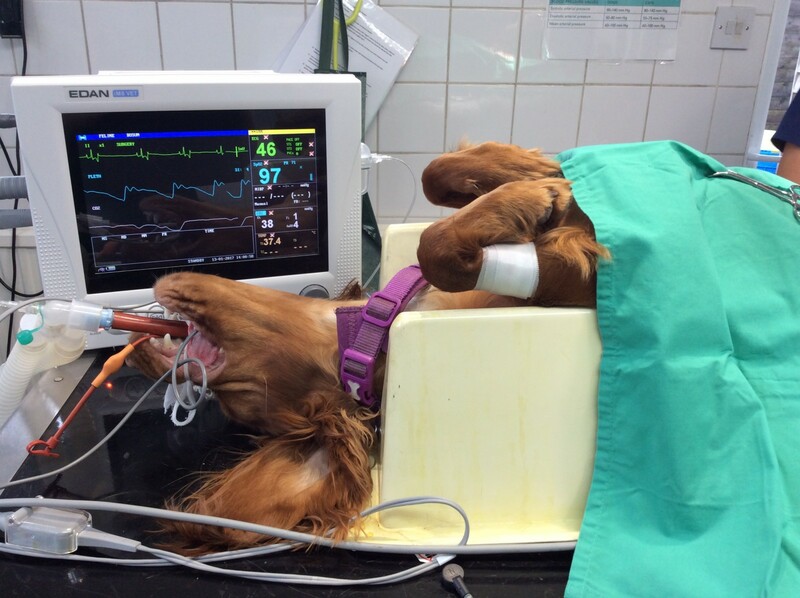 It also has an ECG which provides us with important information about your pet whilst they are undergoing surgery. It allows us to monitor your pet to the highest standard. We also use the ECG as a diagnostic tool for investigation into heart disease.